I'm going to present it to you in the form of a CHALLENGE. In fact, a 2014 research study by the UK’s Marriage Foundation discovered that couples who enjoy a monthly date night are 14% LESS likely to break-up than other couples. 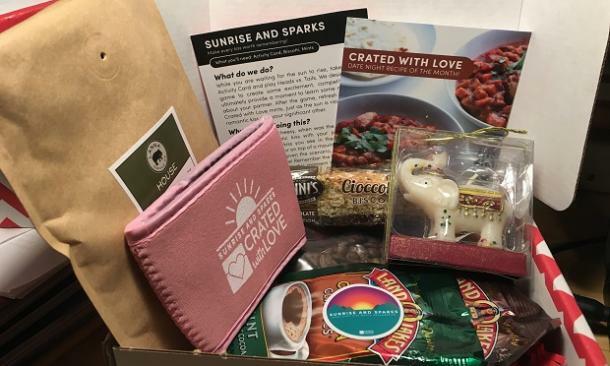 If you’re wondering how they get a whole date night into a box, basically, Crated with Love comes up with scenarios every month that are designed to help improve your relationship skills as a couple. You get some materials to assist with your date and a series of “Challenge” cards that present you with options of things you can do together. Created in partnership with Crated with Love.